The weather is heating up and trying to stay cool can be difficult at times! Cariloha makes beautiful bamboo clothing that not only looks great, is wonderful for our planet, but also keeps you around three degrees cooler than cotton! 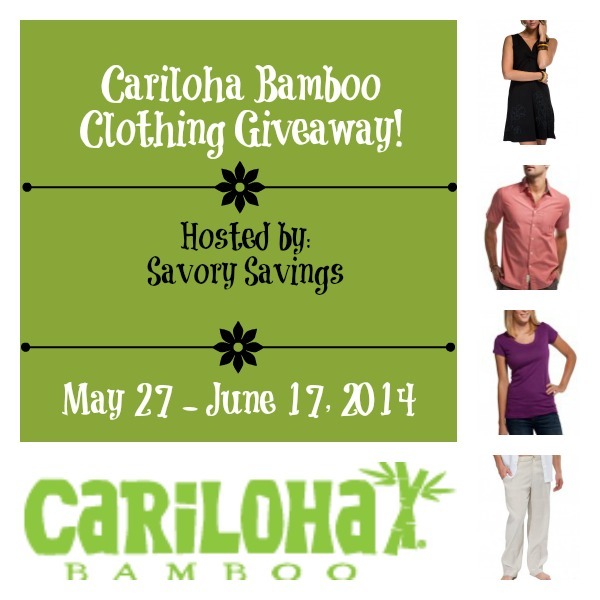 Krista from Savory Savings recently had the chance to review a few pieces of bamboo clothing for both herself and her hubby – be sure to visit her full Cariloha review!